Jill DeWit: And Jill Dewit, broadcasting from sunny Southern California. Steven Butala: Today Jill and I talk about how sellers need to trust you, and this episode is really by Jill. I can’t describe how important trust is when you’re doing a real estate deal. Jill DeWit: Totally. I’d like to point out, by the way, because I’m looking at it right now. It’s episode 9-1-1. Isn’t that funny? It’s like, Emergency. I need to get the sellers to trust me. 9-1-1.” I can help. Steven Butala: It is raining and thundering and lightning outside, and we are like 50 yards from the ocean. It’s a little scary. Jill DeWit: It is. I’m a little excited. It’s kind of like I’m outside looking; it’s all dark. I feel like, is there a tornado coming? I don’t know. Steven Butala: I hope it’s showing up where … I hope you can hear it on the mike. Jill DeWit: That would be cool. Steven Butala: The roof’s shaking, that’s for sure. Steven Butala: Before you get into the topic, let’s take a question posted by one of our members on the landinvestors.com online community. It’s free. Steven Butala: Yeah, that’s the right way to do it. Steven Butala: Hold on, let’s answer that question. Is there any way to get an option agreement done without a lot of work and a lot of maintenance and a lot of phone calls and hand holding? Jill DeWit. Jill DeWit: I’d do it. Jill DeWit: Without [inaudible] I’d have a conversation with them, but it’s not a lot of work, but I’d have a conversation with them, tell them what I’m doing, explain the whole process. Steven Butala: You don’t see it that way because you just love doing these deals. Steven Butala: And I say that with total affection and respect. Steven Butala: But option agreements are a lot of work, but they also don’t require any money. Jill DeWit: True. Then the next, the followup here, purchase contract with the seller, ninety day inspection period, a hundred dollars of earnest money. I don’t do that. That was his idea. Jill DeWit: Was doing it, to maybe do a contract with the seller, ninety day inspection period and then the earnest money. I don’t. You know, I’m usually doing these kinds of transactions because like you said Trevor, you’re not into the price. Like we do all the time. I love it at three thousand, maybe at five thousand. Anything more than that, forget it. So, that’s kind of the conversation. So, I would have the sellers say “Look here’s the deal, I’ll give you three thousand dollars right now. You want me to try to get five, alright you won’t hold out for five. Steven Butala: He said forty-five thousand bucks. Steven Butala: It’s worth thirty. Jill DeWit: Okay. And Trevor wants to buy it at twenty-five, let’s say twenty-five thousand dollars, so, Dear Seller, I’ll buy it right now at twenty-five thousand dollars. I love it at twenty-five. Forty thousand, I’m not feeling it. Let me see what I can do. If you give me ninety days, I’ll go out, see if I can market this property and sell it and get you that forty thousand dollars. If you send this one-page purchase agreement or this option agreement, give me the ninety days to go do this, then I’ll see what I can do. Then, after ninety days, we’ll talk. If I can’t do it, that’s it, kind of thing. So, I know I heard that. I feel like a kid on Christmas with thunder. Anyway, and then that’s what I would go do. Would I give a hundred dollars? A hundred dollars earnest money on a forty-thousand-dollar transaction, to me is like throwing the guy a nickel. I wouldn’t even offer that. I wouldn’t insult the person with that. Here’s the agreement, and then I’ll see what I can do. Then fingers crossed, you’re going to go out and market it and like everything that you’ve done, I wouldn’t open escrow at this point and have it just sitting there because I want to spend that much more money. I saw this piece of paper giving me the equitable title. Jill DeWit: That I need to do this. Steven Butala: To market it. Steven Butala: To legally market it without a license. Steven Butala: Real estate license. Jill DeWit: Right, and do the things I need to do and fingers crossed I get a buyer who’s willing to spend sixty thousand dollars. Now, I’m okay with it. So, if I get that buyer, fifty, sixty thousand dollars, whatever I think is worth my time, now I’m going to go back to the seller and say Hey, it’s day forty-two of our ninety. Are we still good? I think I got your forty thousand. Yep, we got our, now we proceed, we open escrow and do the whole thing, ’cause you’ve just lined up your buyer, you have your seller and it all makes sense. Steven Butala: That’s all possible and Jill has done more option transactions than I have literally. Steven Butala: Last time here, Jill has done more option agreements, way, way, way more and she has a lot more experience. It takes a lot of patience, a lot of talking on the phone. What I would do in the situation instead is go onto Deal Board or soon-to-be Land Tank, find a partner. Let’s say the property is worth thirty, I don’t know the numbers exactly. I don’t remember, but let’s just say your acquisition price is forty and you know it’s worth eighty. Find a partner to fund the forty and split, on the back end, the forty-thousand-dollar profit that you’d make. You take twenty. He takes twenty, and you guys all win. And then, here’s the kicker. You control the deal. You have complete control. There’s not a lot of talking; there’s no big, huge rush now. You don’t have interest to pay or any of that stuff, but the kicker is, in both of these, what I don’t like about options is everybody I see doing options has this attitude like you know, it’s a pretty good deal. Jill DeWit: Their heart’s not in it. Steven Butala: It’s okay, it’s an alright deal I guess. Steven Butala: But if it was priced at twenty thousand you’d be saying this is the greatest deal ever. Steven Butala: I’m going to do this right. So, what options do, in my opinion is you, as a real estate investor, are compromising. That’s what I don’t like about it. Steven Butala: It’s not the structure of the deal or how much work. Jill DeWit: I agree. I’d like to say. Steven Butala: I’m not discounting anything you said. Steven Butala: ‘Cause you’re an expert on this topic, seriously. Jill DeWit: This actually for me ties into today’s topic, how do I get these people, your life always makes me nauseous and I’m like so what, I’ll get the guy to sign it. Let me just talk to the guy, and I’ll make it happen. Jill DeWit: And that’s how I go into it. Why? Well, I’ll tell you. ‘Cause I know how to get ’em to trust me. Steven Butala: Today’s topic: “How Jill Gets Sellers To Trust Her”. This is the meat of the show. Jill DeWit: Ding, ding. So, this is it, and I have a lot of notes here that I would like to, I’m gonna kind of dive it. Steven Butala: I think this is great. Jill DeWit: Alright. So, you can paint your nails, you can listen to the thunder. Steven Butala: I hope the power doesn’t go out. Jill DeWit: You can play a video game off to the side if you would like. Steven Butala: [inaudible] kid-type computer. I can handle that. We’ve got enough going on here. [inaudible] producing. Jill DeWit: This is what I should do. I should do like the parents at a restaurant, “Here, Steven, here’s mommy’s phone.” And let you just go. I’ll let you know when the show’s over. Steven Butala: I would love to go to dinner and watch my tablet like a two-year-old, just watch a movie or play some video games. Steven Butala: While everybody else talks. Jill DeWit: Okay. I want to share something else funny like that. Steven Butala: I’d like to do it with a scotch though. Jill DeWit: This is what my dad used to do. Every single darn time we went out to dinner Dad always brought a magazine. Why? He’d sit there and read his magazine. Steven Butala: How does he get away with that? Jill DeWit: I know. I don’t know. Mom let him. I don’t know how, but he’d go in. He’d place his order and then out would come the magazine, and Mom would be stuck with us, and usually it’s us over here like this with the food. Jill DeWit: And Mom like “Not, not, sit, no, alright now you over here [inaudible] There’s a wall, pretend there’s a wall between you. Don’t touch the other person”, and we’re like under the table. Anyway. Steven Butala: I was born in the wrong generation. Steven Butala: And it was probably the best dinner ever. Jill DeWit: No, it was just a joke. We just wanted Dad [inaudible] funny. No, that wasn’t the whole point, but anyway that was for you. So, please don’t bring a magazine to dinner. Jill DeWit: Okay. Anyway, so here’s the meat of the show. So, why do sellers a) need to trust you? Reason number 1 is for situations like we just talked about. Steven Butala: I want to hear this too. I can’t wait to hear what you’re going to say. Steven Butala: ‘Cause you’re very qualified for this. Jill DeWit: There’s a couple of reasons; 1) like this transaction. You need them to trust you. You want them to trust you. You want them to a) sell to you and you want them to feel great about you as a person. You want, if they’re uncomfortable or anything is going sideways, you want them to pick up the phone and call you and go hey, my brother’s talking about this transaction. He doesn’t think this is right. Will you talk to him? Sure. You need to all, everybody be on the same page and get ’em to trust you. You want them to see you as the authority and the expert as getting deals done. That’s the why now, and then the when, when do I do this? Well, you know what, at the minute that you have the very first communication with them and through all communication with them. You need to convey this level of trust and experience and confidence. Okay now, okay that’s all great Jill, talk about kids. How do I do that so it sounds good? Alright, I have 3 things you need to do. One is the way that you talk to them and by the way you talk to them I mean really simple, the tone that you use and the speed that you talk to them. I want you to mirror them and talk the way they do. I do not want you to talk to a person from southern Florida like you live in up state New York. That is not the way to get their trust. Steven Butala: Oh, geez, what a mess. Jill DeWit: They will hang up on you, so fast it’s not even funny. Steven Butala: That’s a great point. Jill DeWit: And you may have all the right things to say, but how you’re saying it, because you sound like somebody from New York, and it’s like you’re ’em rushing through everything, and you talk so fast, and they don’t understand and they just [inaudible]. You’re just trying to get them off the phone, and you make them sound like they’re inconveniencing you. Steven Butala: There’s no trust there at all. Jill DeWit: Nope. You have to slow it down. Steven Butala: That’s great, Jill. Jill DeWit: And you have to, by the way, you cannot be condescending. You have to be very, very careful with your tone. Jill DeWit: You can’t say Okay Mrs. Smith, let me replay this for you then. What I said was. No, you cannot do that. That’s not going to get you any trust. So, you have to really chill out, chill out and think about them, and then the flip side is true by the way. What if you’re a southern Florida talker and they’re a New York person? I had to learn this. I remember learning this to by the way because I’m a southern California person. I remember, there was a time in my life where I didn’t know anybody from New York, right? First time I talked to a New Yorker I might as well be talking to someone from Paris. I hate to pick on these people but that’s the way they are. They’re aggressive. Steven Butala: No, that’s okay. Pick on New Yorkers. Jill DeWit: They’re a little more in-your-face, and a little more whatever, and I was like what the heck. So I just learned to push back a little bit. And the way I pushed back, I would have to say, “No, this is how the deal’s gonna go”. And then, once I did something like that, then everybody’s okay, we’re all cool. Steven Butala: You have to disarm ’em. Jill DeWit: Like, what just happened? Steven Butala: It’s all confrontation for the first thirty seconds. It’s kinda like a peacock show. Steven Butala: It’s really silly. Jill DeWit: I’m the buyer here. I’m calling the shots kind of thing, and they’re like, alright, got it. Wow, how does it work for you. I’m going to wire the money this day. What account do you want me to use? Alright it’s this account. Like, what just happened? So that’s it: the tone and the speed. Number 2: How to get ’em to trust you? Follow up and follow through with any commitments. Please don’t tell them I’ll call you tomorrow and then call them in 3 days. That’s not trust. If you can’t get to them in 3 days because you’re traveling on a work event or something like that tell ’em. You know what, here’s the deal. I’m going to be real busy up until Thursday or Friday this week. Which day is better for you, Thursday, Friday, heck, I’ll even call you on Saturday if you’re busy, that’s fine. When should I follow up with you? Then do it. Know your schedule and do that. Steven Butala: That’s great advise for how you behave in the world. Jill DeWit: Thank you. “I’m fixing it right now, and you know what, even though I caused a one-day delay, I found a way we’re going to get it back on track, so we’re still going to close on Tuesday. I just want to let you know what’s going on. I’m so darn sorry, but I fixed it”. Just be honest and tell ’em. Jill DeWit: Don’t hide and say, “Boy, that stupid title agent, boy, god they just don’t know what they’re doing. You don’t want them to do that, now they have a sense of insecurity with you and the title company. That’s the last thing you want. Just come out with it. Be honest and truthful. Do you want to add anything to any of that? Steven Butala: Yeah. So, do you have a good story about, do you have a million stories about when and how and why this works? Jill DeWit: I’m trying to think. both: My point here what’s great about this business, and I designed it this way. It didn’t happen. I didn’t fall backwards into this, is that you’re not selling anything. Steven Butala: This is not sells. You send all these letters out, a thousand letters out, ten of them come back signed or they call you and say you know, is this a joke or do you really want, ’cause I do want to sell my property, but maybe not for this amount. Steven Butala: That’s it. The mail and the postage and the data did all the work for you. There’s no way you’re going to make a thousand or fifteen hundred phone calls to find those ten people which is what they used to do in 1955, and then you get [inaudible]. Jill DeWit: Some people still do. Steven Butala: Everybody gets real mad. It’s really, really efficient. By the time they get on the phone to call you to see if there’s any truth to this, they’re closable. Jill DeWit: This is true. It’s just putting the deal together. It’s just hey, does my offer sing to you”? Yeah. Great. Done. Here’s how it’s gonna go. Steven Butala: I guess [inaudible] not just one incident but as your, one thing that you just avoid, like you can tell ten or fifteen seconds into the phone call that this is not going to work [inaudible]. Steven Butala: It’s never the real estate deal ever. It’s always the people. 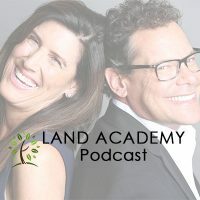 Jill DeWit: You know, the only time it doesn’t work is when our prices don’t line up, and it’s just because they really want to get, sadly there are people out there that ask for above retail because they really think that, let’s just say land related. I’ll give you like a land and a house example. In a land-related example they’re like, you have not stood on my bluff. If you stood on the bluff of my property, you would know exactly why it is worth more than anything else in the neighborhood. Steven Butala: Yeah. There’s nothing we can do with that. Jill DeWit: And then the other version is for a house. Steven Butala: You’re absolutely right Jill. Jill DeWit: You have not seen the colors we picked at our kitchen. I’m telling you it’s breathtaking. Everyone walks over and wants our house, so I know what retail is, and I know we deserve more than retail. So, those are out there. Steven Butala: Everybody who’s in the residential real estate flipping business subscribes to that model. The renovation business I should say, exactly what Jill’s talking about. Oh, it’s the best kitchen on the block. Steven Butala: That’s how we get this price. Jill DeWit: So, that’s the only times I’ve ever had a transaction not go the way I wanted it to go. So, have I ever, all I do is leave the door open, and sometimes they come back. Not always, and I know that, and that’s okay ’cause like what Steven just said, I’m not out shopping for deals. Who cares? I got ten more I’m working through right now this afternoon. It doesn’t matter. I mean, I literally have that many. I’m behind right now on our deal funding. I gotta go look through a [inaudible] and catch up. Steven Butala: It plagues me. I lost sleep over it. Jill DeWit: So, [inaudible] having this conversation, you know, too. Like right now there’s a few, like, and this is a good point and it’s a little side track about when you get going it’s easy to think you want to hold on to every deal and make everyone work. No, you don’t. Steven Butala: Just the best ones. Jill DeWit: Pick the good ones and move on. Do all these things I talked about. Make them trust you. Be the honest person, and by the way, part of being honest, is making them trust you. Say, “You know what Mr. Smith, look I realize you think it’s worth fifty thousand dollars. I’ve been doing this for ten years, and I know this area really well”, and I’ve actually used this exact conversation, “I do not mean any disrespect, but I cannot pay more than six thousand dollars. That’s my top, so if that someday, if that works for you or in the next thirty days or ninety days, whatever I feel like. If you think that would work for you, I will honor my six thousand dollars, but I’ve never spent more than that, and I’m not gonna, you know, it’s just doesn’t work for me. So, I wish you all the best, and take care”, and then I let it go. Jill DeWit: They do. There’s a large percentage. Once they go out and shop it, they go nobody really will pay twenty. I guess I was wrong. This person won’t pay six. I have nobody. I’ve shopped it for twenty. I’ve got no bites at all, and I need to get rid of this property right now. Six is now not sounding so bad ’cause otherwise I might get stuck with it, and they have that conversation. We’ve all had that conversation when you’re selling something. Steven Butala: Plus, he’s gonna remember Jill for a lot of reasons. Jill DeWit: Well, I was honest, and I was up front, and I’m gonna follow through. I am telling them truthful things, and I am showing I’m an expert in the industry, in the business. You know, I’ve got a website. This is what I do. I’m not just whatever, so thank you. Steven Butala: Well, [inaudible] spent another fifteen minutes or so listening to the Land Academy show. Join us next time for commercial real estate acquisitions by me, Steven. Jill DeWit: And we answer your question posted on our online community landinvestors.com. It’s free. Jill DeWit: Are you cutting me off. I’m getting [inaudible]. Steven Butala: No, it’s just it’s twenty minutes and you’re killing it. Jill DeWit: Thank you. I have a lot to say. Steven Butala: Well no. An hour. Say what you need to say. Jill DeWit: Thank you. It’s valuable. Steven Butala: If you have something else to add, go for it. Steven Butala: Not at all. Steven Butala: Nah. Just keeping our chat on track, that’s all. Steven Butala: But now’s the time. Jill DeWit: No, I covered it all. Thank you very much. Steven Butala: I have a lot of practice at it quite honestly, and I’m not awful at it. Jill DeWit: No, you’re not. Steven Butala: I just don’t enjoy it. My answer is I would rather send out three times as much mail and only deal with the ones that signed it and the ones that signed or offered to come back and go through the due diligence process and shove it off to close it. That’s just how I run. Jill DeWit: Whether or not you like it, if you just take a step back and think about who you’re talking to, trying to be, and conveying that you are that good, solid, stand-up business person, investor, that you are and you’re just simply trying to get a deal done and you’re being honest about every thing, then it should come easier for you. You’re not trying to be slimy or get anything [inaudible]. It should be very easy. Steven Butala: You know we forgot to talk about this yesterday, and it’s really, really important, about the seventy-hour work week thing. Steven Butala: And it ties into exactly what Jill just said. There’s some stuff you don’t want to do, get a partner. If you’re working seventy hours a week, but you’re really good at data and you’re really good at pricing like I am, but you’re not good at or don’t really want to talk on the phone and close these deals, find yourself a partner like I did. Steven Butala: You know, if you’re Jill, find yourself a Steve, and vice versa. Find yourself a Jill. Steven Butala: That really, really solves, partnerships can be a beautiful thing. Jill DeWit: Thank you. Wherever you are listening or watching, please subscribe and rate us. That really makes a difference.